Freelance rates vary- hugely. The National Union of Journalists sets minimum rates but they are guidelines. These rates are accurate as of Jan 2003. Broadsheets pay under �0 per 1000 words. Tabloids usually pay more but the articles are shorter. �0 per 1000 words or pro-rata. Higher rates should apply. Negotiate as best you can. 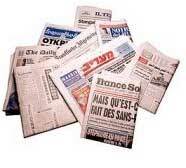 Both features and news tend to pay around �3 per ten lines of printed text. But payment on both dailies and Sundays in this area is considered to be below acceptable levels. Consumer magazines, eg. The Face, Time Out, Moneywise; �5 per 1000 words for features.